Traversing this world can be overwhelming, but when you have a dedication to uncover and spread the truth, your responsibility holds more weight than any obstacles you might face. There is light inside the storm because you realize that you aren't alone! You have a spiritual community around you also dedicated to bringing about disclosure—the uncovering of what is hidden in the world. We are all a part of this effort, and this vision expands as each individual steps up into his personal power and moves into a heart space to affect change in the world in a real and tangible way. We are stronger together, and understand that community is a paramount part of this global effort to co-create a positive future for humanity. We have each been through trials and tribulations that tempered our soul and developed our inner strength and purpose. Not only in our pasts, but in our present lives and our future, the process of soul development is ever-expansive, and we continue to face challenges in order to grow the lights within our hearts and move toward Source as a collective. This Friday, we come together as a community to hear insightful perspectives on how to overcome obstacles and remain on the path towards soul expansion and growth. Join Justin Deschamps of Stillness in the Storm and Teresa Yanaros of Divine Frequency for "Friday Night Philosophy." 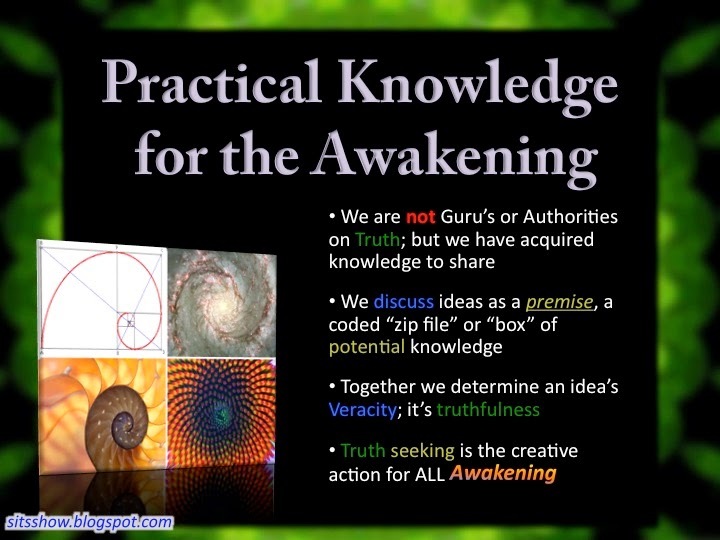 This is an online webinar, and a safe place to connect with others in the spiritual community. 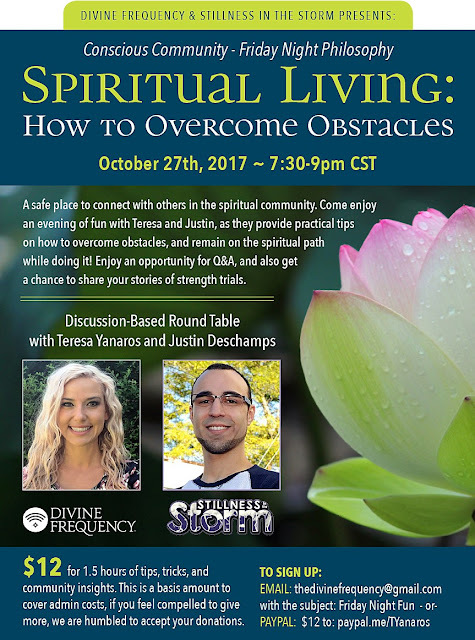 Come enjoy an evening of fun with Teresa and Justin, as they provide practical tips on how to overcome obstacles, and remain on the spiritual path while doing it. Enjoy an opportunity for Q&A, and also get a chance to share your own stories of strength trials. 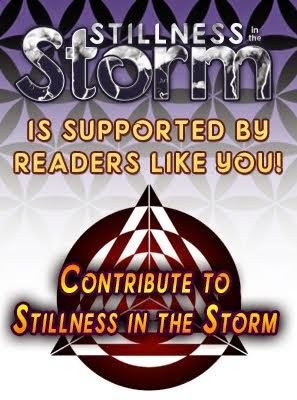 Join in a discussion-based roundtable with Teresa Yanaros of Divine Frequency and Justin Deschamps of Stillness in the Storm. $12 for 1.5 hours of tips, tricks, and community insights. 7:30-9pm Central Standard Time. This is a basis amount to cover admin costs, if you feel compelled to give more, we are humbled to accept your donations. We've gotten positive feedback that people loved the community webinar feel- we invite you to come see for yourself! After sign up, we will be in touch by email with more information about the event.